Nancy Pelosi, a Democratic member of the US Congress, said as a flat-out fact recently: “Health care is a right for all, not a privilege for the few.” Hilary Clinton recently said that changing Obamacare and a few other things “will take our country in the wrong direction.” Both of these are Big Lies. If you’re going to call out Trump for lies, you have to do the same for the opposition. Health care has never been a “right for all” in the United States. It has been a commodity sold at market price through doctors or insurers to those who have chosen to buy the product. Can you even imagine an interpretation of the US Constitution which would require the spending of trillions of tax dollars a year on health care as a fundamental right of Americans. Make no mistake. If we have this “right,” then it must be available to all without regard to whether they can pay for it. The government would be on the hook for all. Health insurance might become obsolete. Claiming politically that “by right” the government must spend trillions on health care each year is the death of reasonable social debate. When the proposal is so outlandish, and opposition to the proposal is seen as “dictatorial,” there really is nowhere further to go. The Affordable Care Act, also known as Obamacare, is a social experiment, not a claim of a human right. It is simply a series of statutes passed, and is no more noble than any other statutory scheme. There is really no glory in Obamacare. Only a choice, which has proven to be increasingly unworkable. So why do so many leaders shout “repeal Obamacare,” and then sit back and weasel their way into simply trying to mitigate its harshest effects. This half-hearted approach sickens even Republican members of Congress, who vote against such proposals. What was promised in the election campaign was to repeal Obamacare. Not tweak it or make it into something it is not. So why won’t Congress do what was promised? 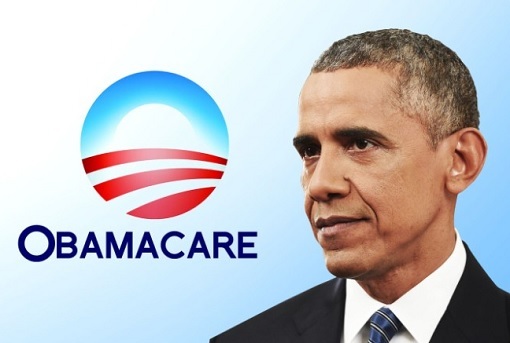 Most of the Obamacare laws should be simply repealed, and not replaced with anything. Insurers and providers did quite well before Obamacare. They will most certainly do just fine without these laws. For the most part the market can sort out health care. Medicare and Medicaid and non-profits can help with the most vulnerable. Congress could even put Medicare-Medicaid into a cost-cutting mode (i.e., allow programs to negotiate drug costs) to help reduce the budget and the deficit. The rhetoric was simple during the campaign: “Repeal Obamacare.” This is what the voters thought they would be getting if they voted Republican for president and congress. It’s time to stop the weaseling around and do what the voters voted for. Anything else constitutes an intolerable move toward socialized medicine, which will bankrupt the United States quickly. I’m not necessarily opposed to socialized medicine. For the last ten years my own medical needs have been provided by an almost pure socialized medicine system. It’s called the Veteran’s Administration. In spite of all the “scandals” in the VA Health Service, I must say that I have had only the best medical care, and mostly in a timely manner. I love my doctors and their assistants and staff, and I’m happy to go see these wonderful people for care and treatment. Extrapolating for the whole US population, this socialized medicine single-payer structure would cost about 7.5 trillion tax dollars a year. Let’s arbitrarily subtract 2.5 trillion to account for those who are mostly healthy, leaving a tax bill of 5 trillion dollars a year. And it may put private health care and insurers out of business also, or seized by the government at additional tax cost. So, socialized medicine for all in the US is supercalifragilisticexpialidocious! If you say it loud enough you’ll always sound precocious, Senator Pelosi! My VA benefits are certainly not a “right.” They are the response of our citizens to the sacrifices made by our nation’s veterans, which often led to medical problems years or decades later. We may be tempted to compare the US with Britain. The National Health Service in Britain, a socialized health system begun after World War II, was touted from the beginning as “the greatest social experiment in history.” This was definitely NOT a lie, and yes, the experiment has worked. In Britain. Set up in the early 1950’s, when many of the population were war veterans. It was a choice made by Britain and it seems to work in Britain, mostly because it has had seventy years to become a part of the culture and structure, in a much smaller country than the US. I would like to see our politicians do what they promised to do and what they were elected to do. Hand back much of health care to the private sector. This has always worked in the US. ← Executing a Criminal is Really Easy Now… So Why Do We Make it so Difficult? “I would like to see our politicians do what they promised to do and what they were elected to do. Hand back much of health care to the private sector. This has always worked in the US.” This is your “Big Lie.” Private market healthcare has not always worked in America. This is especially true for those without the means to afford basic primary care. Our nation as a whole would be better served by a universal system that provided basic care to all citizens. Most people would be happy if taxes were used to fund such a system as opposed to using them to enhance the wealth of the already wealthy.